CMI provides option to drop custom monster heads when you kill entity. To customize dropped heads check out customHeads.yml in main CMI plugin folder. This is defined by percentage amount in general. Like in example you can have 5% to drop sheep head but only 1% to drop creeper head when killing one. In addition to this you can define by how much you want to lower chance for each player after they got head for this type of mob. This is helpful in preventing exploiting while killing hundreds of mobs to farm heads. Keep in mind that this limitation will reset to original state after each server restart. In this example player has 5% to get sheep head and after each instance they got one, chance to get next one will go down by 50% from previous one, so if initial chance was 5%, second one will be 2.5%, next 1.25%, then 0.625% and so on. You can have as many custom heads as you want. There is no hard limit on this one, tho recommendation would be to keep it in reasonable numbers. To add new head simple add new text line which would contain texture string. You can find custom head texture string at any site which has database set for it. As an example of one: https://minecraft-heads.com/. In this case head has 100% chance to be picked if random algorithm checks it before others. In case it would have less then 100%, lets say its only 10%. Then algorithm will try to roll “dice” and check if we can pick this head. If not, then it will move to another random head in the list and will try to pick it. So to avoid not dropping head at all even tho player should, keep atleast one head in list for particular mob type with 100% chance. In this case you will have head with Custom Head Name as a item name. its completely optional and if not defined then default name will be used. This will have 2% chance to drop creeper head. 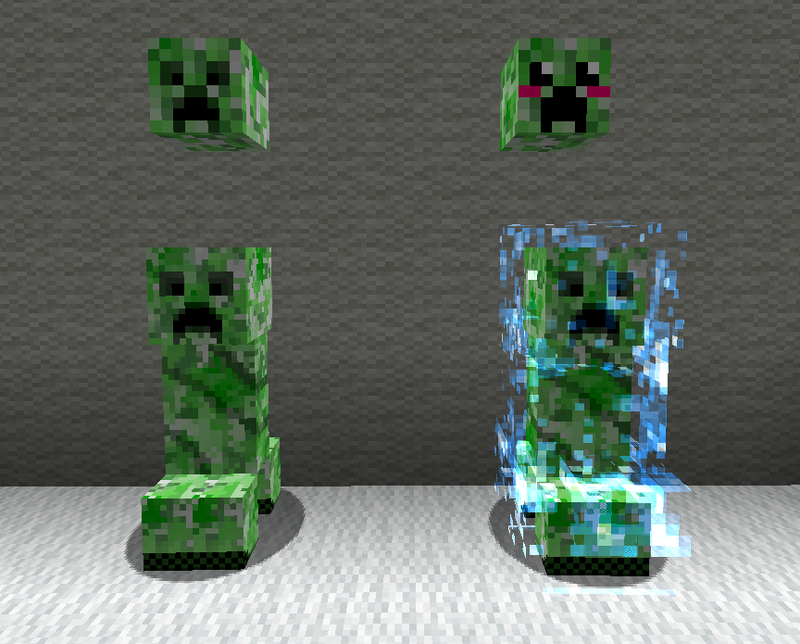 But depending on creeper type, if its powered or not, it will drop one or another head. Which will only drop head if entity was baby wolf which was in angry mode. !? !Who would kill a killer baby wolf!?! Only drops head if killed entity was tamed. Only drops head if creature was in baby state. This doesn’t apply for slime or magma cubes. They have different criteria. Will only drop head if entity can have age states and is in adult one. This will not work for creatures like creepers which doesn’t have age states. Used to drop head only if entity is red cat. Use only for ocelots. Used to drop head only if entity is siamese cat. Use only for ocelots. Used to drop head only if entity is wild cat. Use only for ocelots. Used to drop head only if entity is black cat. Use only for ocelots. Color indication of entities like Sheep, shulker boxes or similar entities which has this color indicator. Can be used to identify slime and magma cube sizes.